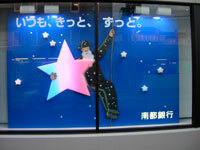 The show window of the Nanto Bank uses our A'star Light. This display is lit from afternoon until midnight. 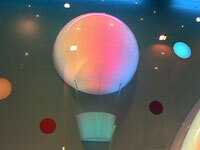 Over 200pcs of our A'star Light is used to illuminate the display. 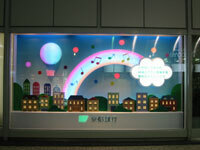 Show The window of The Bank of Kyoto. This display is lit from afternoon until midnight. Over 150pcs of our A'Star Light are used.